Montague Kobbé was born in Caracas, Venezuela, and has resided in the UK, Germany, and Spain. He has had close ties to Anguilla for over thirty years and maintains a regular literary column in Sint Maarten’s Daily Herald. His work has been published in the New York Times and El Nacional (Venezuela) among many other media outlets. He is the author of The Night of the Rambler (a finalist for the Premio Literario Casa de las Américas) and Tales of Bed Sheets and Departure Lounges. He currently lives in London. On the Way Back is his latest novel. A gorgeously written and highly entertaining debut novel about a small island’s struggle for independence from Britain. With echoes of Junot Díaz, Vargas Llosa, and Zadie Smith, an exhilarating voyage across the Caribbean during a time of revolution from debut novelist Kobbé. On June 9, 1967, sixteen men from Anguilla, a forgotten island in the Caribbean, set sail aboard a thirty-five-foot sloop, the Rambler, to make the night-time journey to St. Kitts, where they intended to carry out a coup d’état and install a new government sympathetic to their separatist cause. Set against the turbulent background of world politics in the sixties, The Night of the Rambler tells the story of a misinformed and misconceived plan, carried out incompetently by a group of scarcely trained and ill-equipped amateurs who escape calamity by mere coincidence. And yet, somehow, the main purpose of their mission, the furtherance of Anguilla’s struggle to dissociate itself from the newly formed state of St. Kitts-Nevis-Anguilla and to return to the British colonial fold, is significantly strengthened by this, quite possibly the most outrageous episode in the history of revolutions. Loosely based on the historical facts surrounding the Anguilla Revolution of 1967, The Night of the Rambler unfolds across the fifteen hours that lapse between the moment when the “rebels” board the motorboat that will take them across the strait to St. Kitts, and the break of dawn the following day, when it becomes obvious that the unaccomplished mission will have to be aborted. The novel consciously moves away from the “historical” category, purposely altering at will the sequence of “facts” narrated, collating fully fictional episodes with vaguely accurate anecdotes and replacing the protagonists with fictional characters. At turns highly dramatic and hilarious, Kobbé brings deep honesty to the often-unexamined righteousness of revolution. With echoes of Salman Rushdie’s Midnight’s Children, Junot Díaz’s The Brief Wondrous Life of Oscar Wao, and Mario Vargas Llosa’s Conversation in the Cathedral, The Night of the Rambler touches upon the universal topics of freedom and self-determination with humor and sensibility, creating an alternative reality that is informed by real life but ultimately governed by the uncanny. 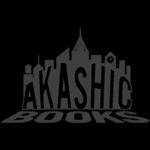 Read about The Night of the Rambler at The Next Best Book Blog’s spotlight on Akashic titles. Click here to see a photo of The Night of Rambler taking Anguilla by storm! Read a short story by Montague Kobbé inspired by Brazil’s loss to Uruguay in the 1950 World Cup final at Ampersand. Read Montague Kobbé’s travel piece for The New York Times.